Management Accounting Quarterly is a quarterly, refereed online journal that contains in-depth articles by and for academics and accountants and financial professionals in business. Online access to MAQ, including archives, is available to nonmembers at a yearly subscription rate of $60. Members receive access as part of their dues. Management Accounting Quarterly is a quarterly, refereed online journal that contains in-depth articles by and for academics and accountants and financial professionals in business. Some of the subjects covered are cost/management accounting techniques, ABC/ABM, RCA, GRC, fraud, statistical process controls, target costing, theory of constraints, methods of calculating stock options, techniques to improve accounting and finance education, new theories in finance and accounting, and much more. A subscription for online access to MAQ, including its archives, is available to nonmembers at an annual rate of $60. Members receive access as part of their dues. 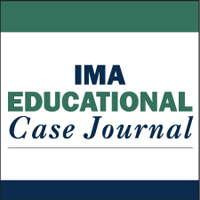 The IMA Educational Case Journal (IECJ®) is a quarterly, refereed online journal whose mission is to publish teaching cases and research related to case writing or teaching with cases in management accounting and related fields. Online access to the IECJ is available to nonmembers at a yearly subscription rate of $250. Members receive access as part of their dues. The IMA Educational Case Journal (IECJ®) is a quarterly, refereed online journal designed to publish teaching cases and research related to case writing or teaching with cases in management accounting and related fields. Online access to the IECJ is available to nonmembers at an annual subscription rate of $250. Members receive a subscription as part of their dues. Recipients receive the right to free use of the cases for educational purposes.